How Do Hurricane Windows Work? When you live in Florida, hurricanes are always on the mind during certain times of the year. You have to watch the weather and see what’s going to happen to protect your family and your home. If the time comes and a hurricane is headed your way, you put up your hurricane shutters. Some families don’t have to do that because they already have Tampa, FL hurricane windows installed. If you don’t have those windows yet, you might wonder how they work and if you should get them. Understanding just how they operate can help you make the final decision one way or the other. Hurricane windows are actually one of the best defenses your home can have against strong winds and hurricanes. They are a great alternative to shutters and can also secure your property against intruders, noise, and leaking air during other times of the year. When you look into the details, you’ll see that they’re a good answer for many homes. Hurricane windows utilize impact resistant glass, which was originally installed into cars in the 20th century as a safer windshield. Now, it has made its way over into the home window world. There are two types of impact glass: Shatter-resistant and inner-membrane, the latter of which is the most popular. Both types can protect a home when debris hits the windows during high winds and when either are installed with strong frames, they give a home a sturdy barrier to the outside world. The layers can hold on either side to keep the glass together even if it cracks, which protects your home from having a hole in it, which can lead to structural damage as a whole. Hurricanes are a huge problem that can cause thousands of dollars of damage on a home. Just one broken window is enough to let the windows in and between the high pressure outside and the interior of your house, it can cause serious damage to the roof and more. You want your family to be safe and your home doesn’t have to be unprotected. You can expect hurricane windows to take winds up to 200 mph and debris heavier than bricks. In the end, it’s important not only to understand how hurricane windows work, but simply that they do work. If you want details on Tampa, FL hurricane windows, feel free to contact the experts at Clearwater Window & Door Inc for help. 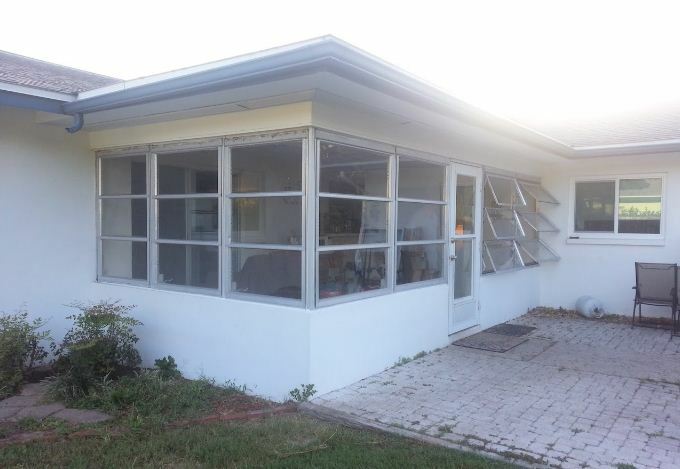 Give us a call at (727) 559-7007 and we can answer your questions about the inner workings of these windows, so you are confident if you choose to install them. We can also come to your home for a free consultation and we can let you know what kind of impact hurricane windows would have on your home on a daily basis as well as during hurricanes. You can see the windows in person (which look a lot like regular windows) by visiting our showroom at 2025 Gulf to Bay Blvd, Clearwater, FL 33765.